Three buzzes and the reporters watching anxiously for a verdict in the trial of Dr. Conrad Murray went crazy. Likened by some to the arcane practice of sending up colored puffs of smoke when the College of Cardinals elects a new Pope, jury members in the trial of the doctor accused of involuntary manslaughter in the death of pop singer Michael Jackson decided to sound a buzzer to indicate what they were doing - including whether they had reached a verdict. One buzz meant the jurors had all gathered - everyone was present. Two buzzes meant the jurors needed something - a question, a pencil, a potty break, etc. Three buzzes meant there was a verdict. We heard those buzzes at 11 a.m. Monday. As the jury deliberated, the courtroom in Department 109 inside the Clara Shortridge Folz Criminal Justice Center in downtown Los Angeles was packed with reporters and fans of both Michael Jackson and his personal physician. Judge Michael Pastor continued his daily court duties with other cases. And every once in a while, the assembled observers heard a buzz in the courtroom. Friday the buzzer buzzed twice a few times as jurors requested more pens and a highlighter. But they did not ask for any testimony to be read back to them. Early Monday it was believed they were trying to understand the many pages of the jury instructions. 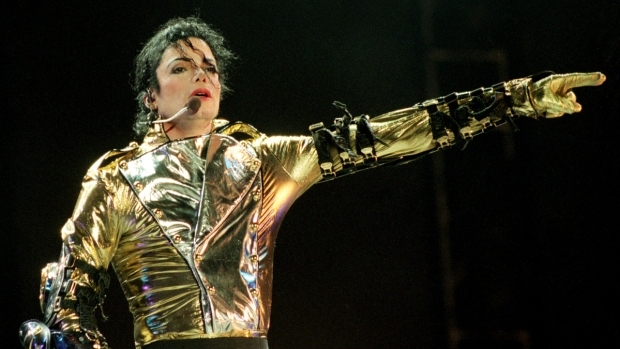 The 12 jurors faced an important task - to decide if Dr. Conrad Murray's actions lead to the death of Michael Jackson. The prosecution called it gross negligence; the defense said it did not constitute a crime in the legal sense. Monday, just before 10 a.m., jurors buzzed twice again. Turns out the jury requested toilet paper and paper towels. The jurors usually buzz twice when they want to break for lunch as well. The seven men and five women on the jury are charged with the task of determining whether Murray is guilty of involuntary manslaughter. Murray faces up to four years in jail and the loss of his medical license. Sentencing would be up to Judge Pastor. The judge said Friday the public would be given a heads-up when a verdict is reached, and indeed on Monday the announcement was made at 11 a.m. and the verdict set to be read at 1 p.m. The three-hour window allowed all parties time to return to court, including the attorneys, Murray and the Jackson family.